Sunshield protective window coatings are state-of-the-art solutions to the premature degeneration of fine interior furnishings and art collections. By selectively inhibiting the infiltration of ultraviolet, infra-red, and visible light, our coatings provide the greatest degree of solar protection and energy management that current technology permits. Imagine a product so advanced that it can offer superior heat, glare, and fade protection, while maintaining the beauty and clarity of the original view. To ensure that damage and deterioration from sunlight are kept to an absolute minimum, Sunshield is the only clear and intelligent choice. Waterview photograph taken through one of our proprietary coatings. 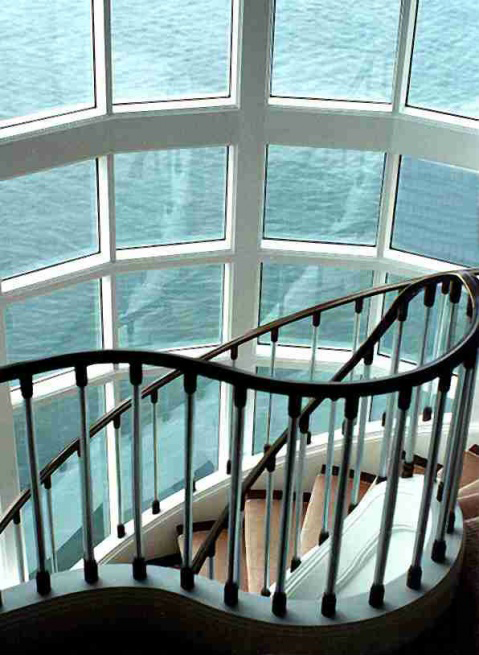 Sunshield protects some of the finest views and properties in the world.